Position Purpose: Partners with sales team to provide oversee project installations, and resolve any issues relating to product or installation workmanship. Communicate regularly with team members and the client in a professional and timely manner. Proactive customer communications on pending orders and punch lists. Prepare project schedule including project milestones and critical decision dates. Attend Team meeting prepared with project status and updates. Attend weekly scheduling meeting with complete information regarding new, ongoing and completed projects. Attend client project construction meetings when necessary. Manage the product delivery schedule based upon installation date. Schedule and perform post installation walk through with the client. Prepare, distribute and manage the project punch list. Respond to warranty issues and concealed damage product. Monitor labor costs to ensure they remain within budget. On site supervision of the project. Provide effective and timely communication of project status to all team members. Complete all documentation and reports as necessary. Promote professional image and conduct at all times. Deliver level of service to ensure customer commitment and long term relationship. An understanding of the commercial furniture business. Observes safety and security procedures, promotes safe work environment and the proper use of materials. Adherence to all company policies and rules. Ability to bend, reach and lift up to 40 lbs. 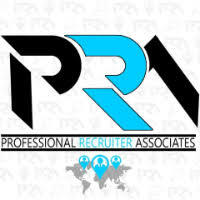 For immediate consideration, please forward a copy of your current resume to info@profrecruiters.com referencing job #1544 or a link to this job.